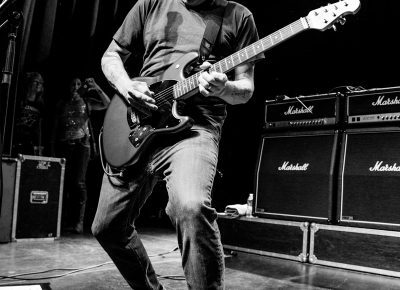 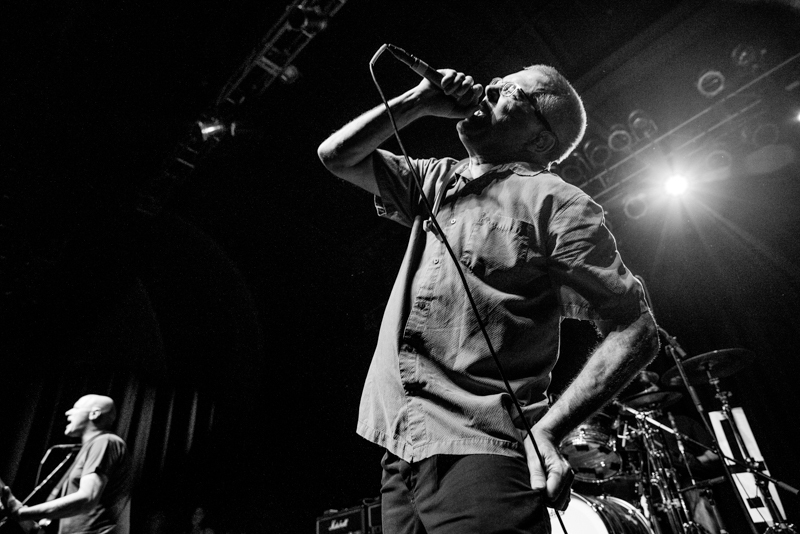 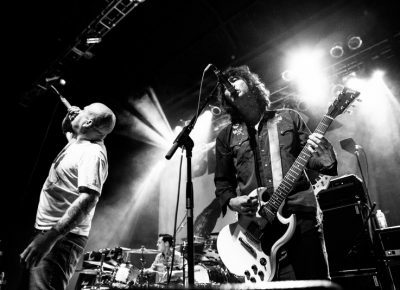 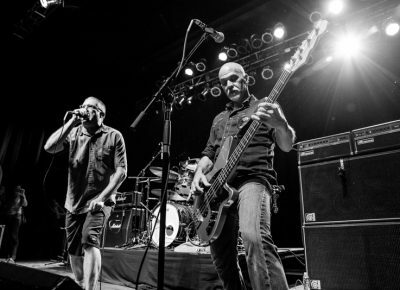 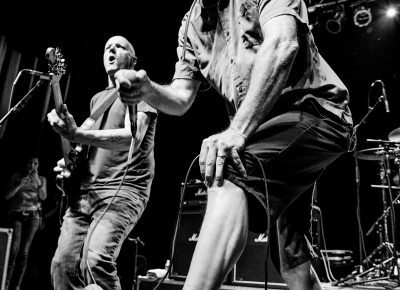 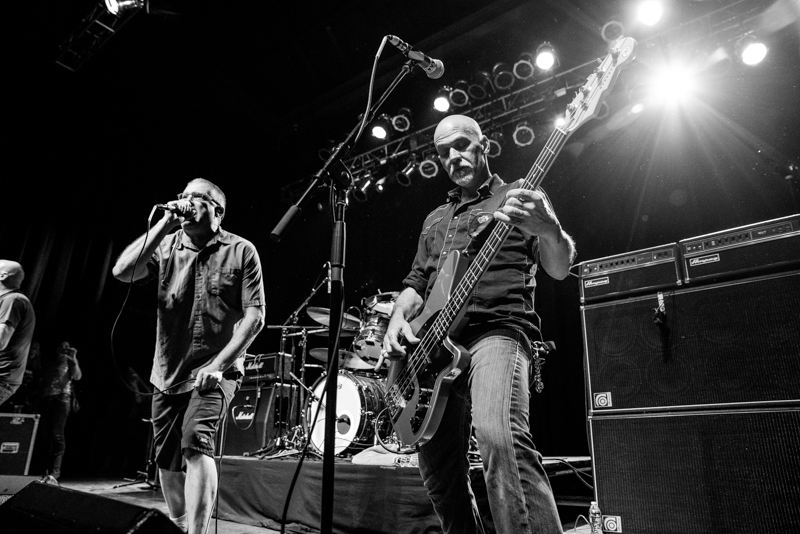 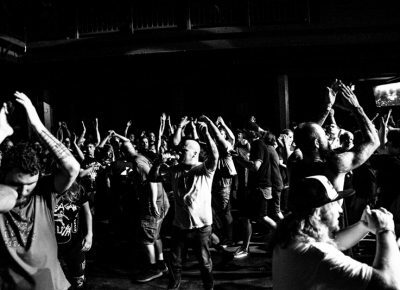 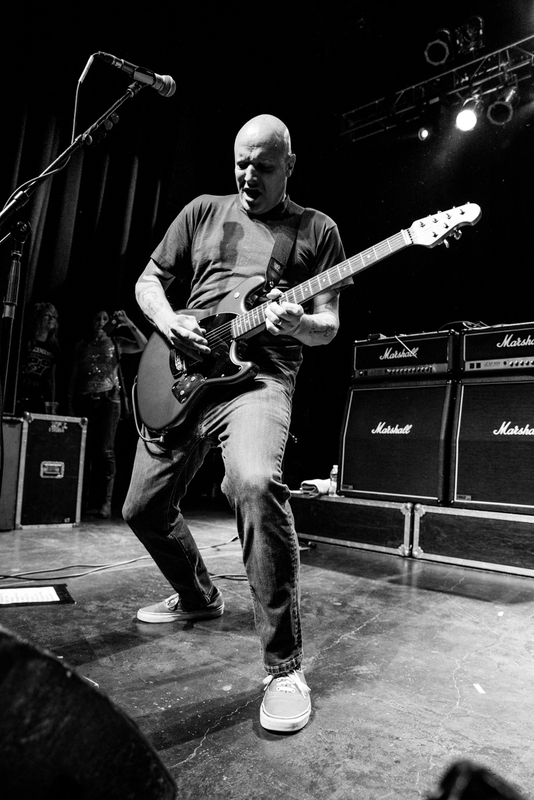 On July 21, punk rock veterans the Descendents stopped by The Depot in Salt Lake City on their Hypercaffium Spazzinate Tour. 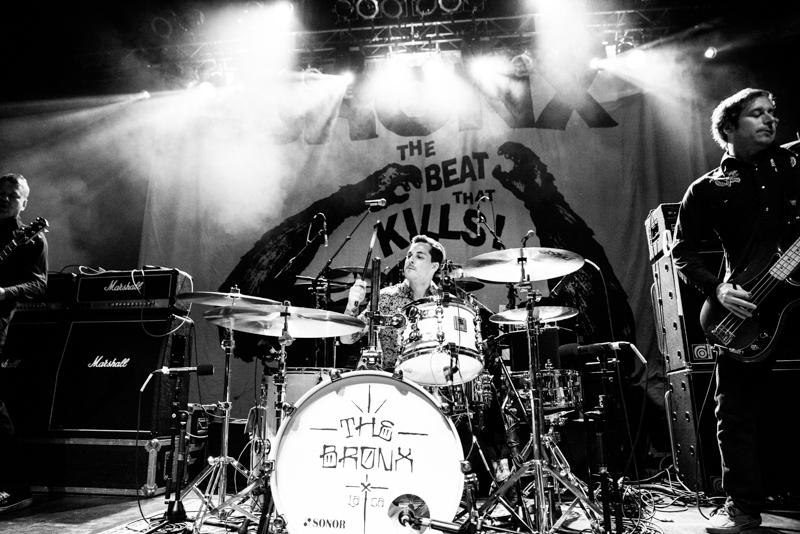 They were supported by The Bronx and locals Endless Struggle. 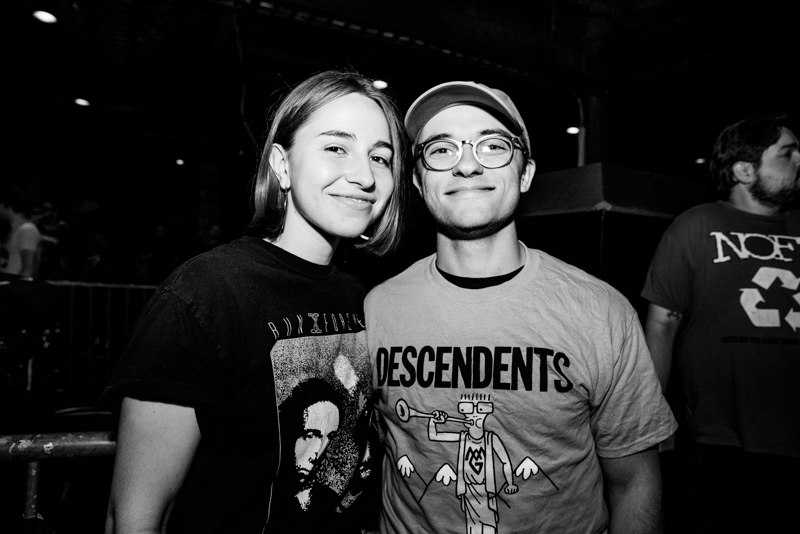 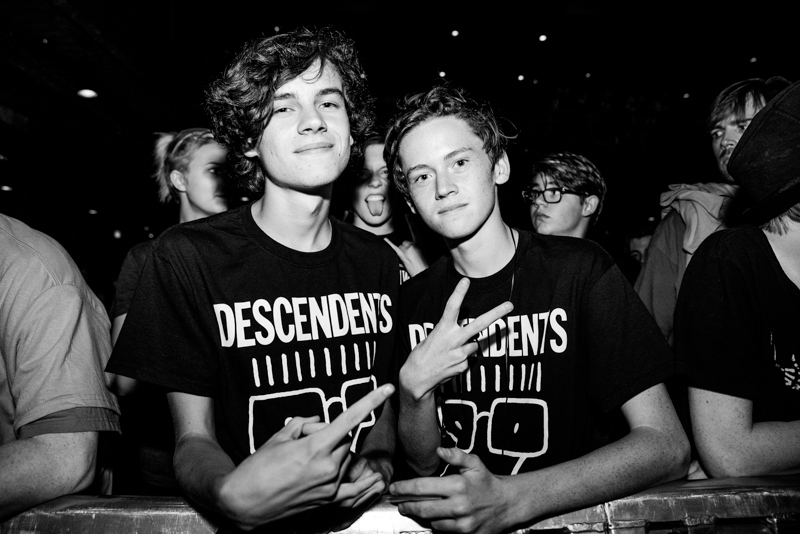 I was able to catch the Descendents at a sold-out show last year in D.C. and was excited to see them play again in Salt Lake City. 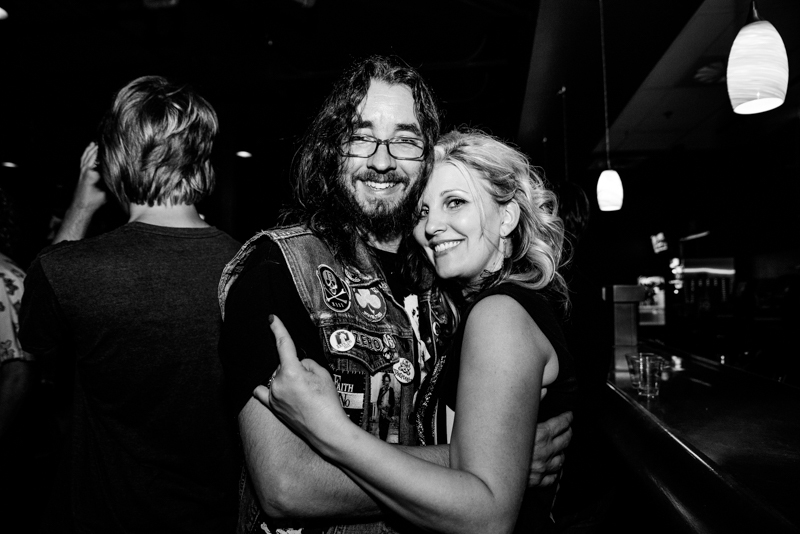 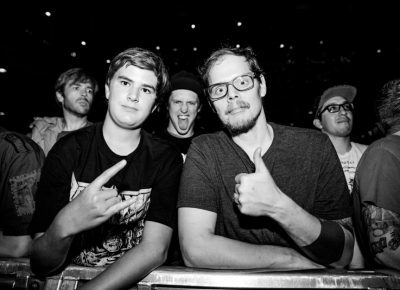 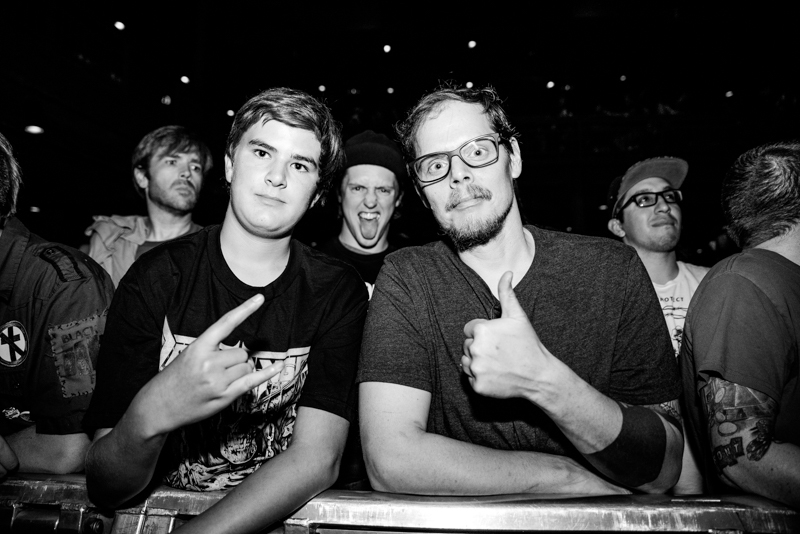 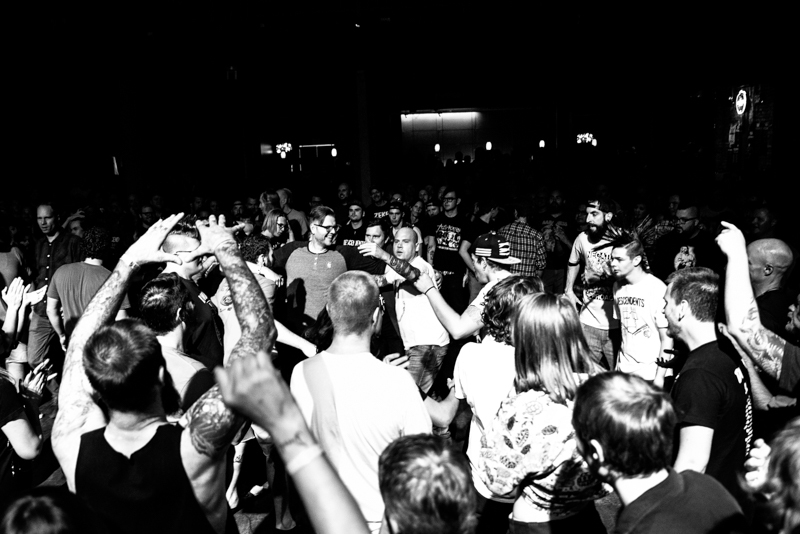 The crowd started to fill the venue as Salt Lake City’s own Endless Struggle opened the night. 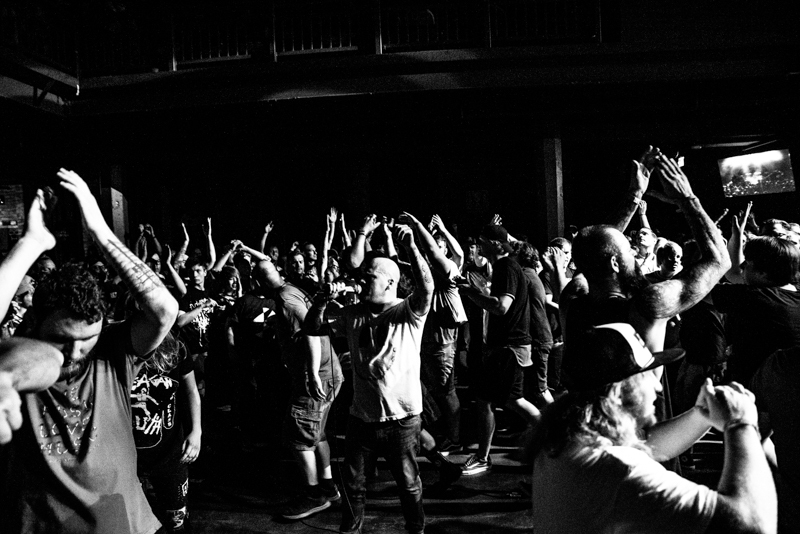 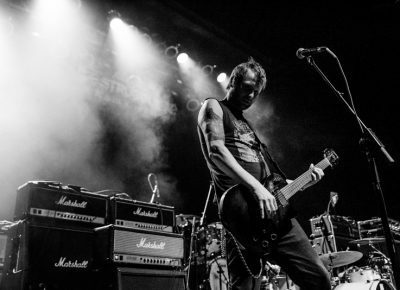 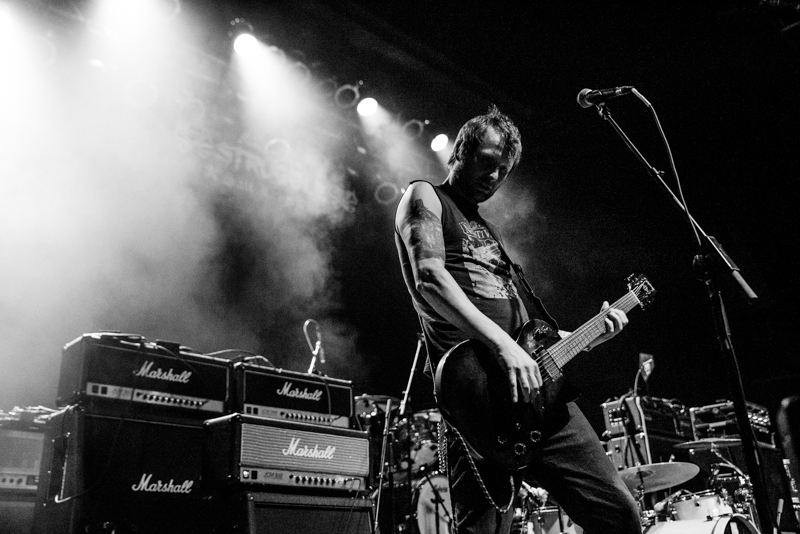 Endless Struggle set the tone for the show with their fast-paced street punk songs. 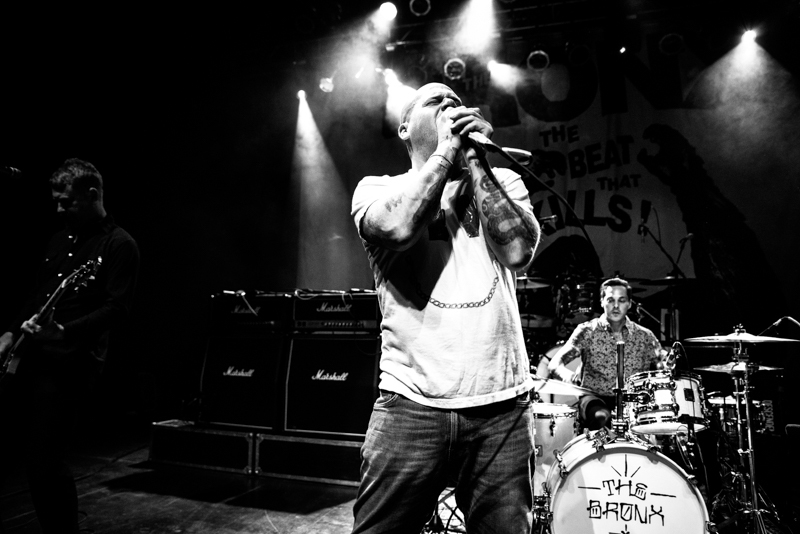 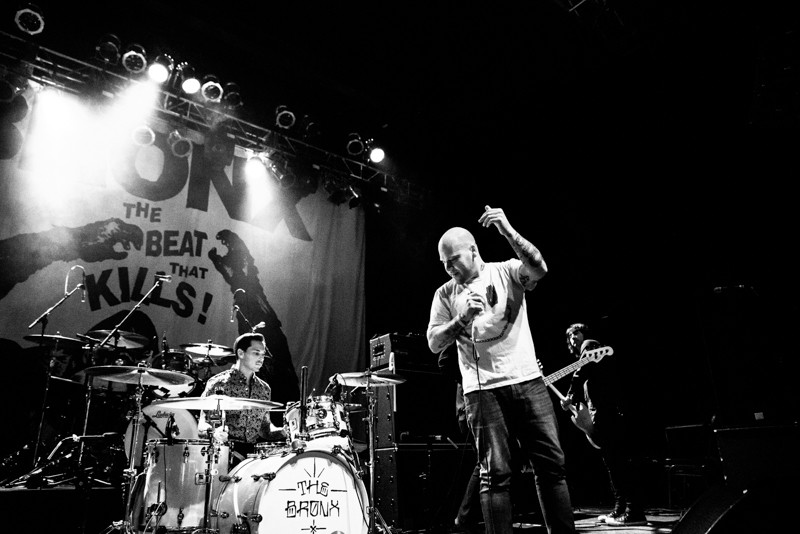 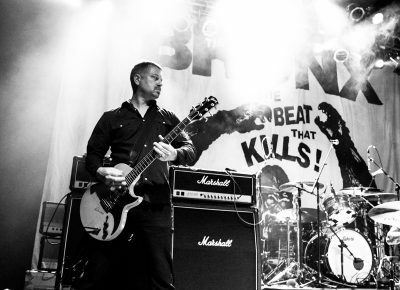 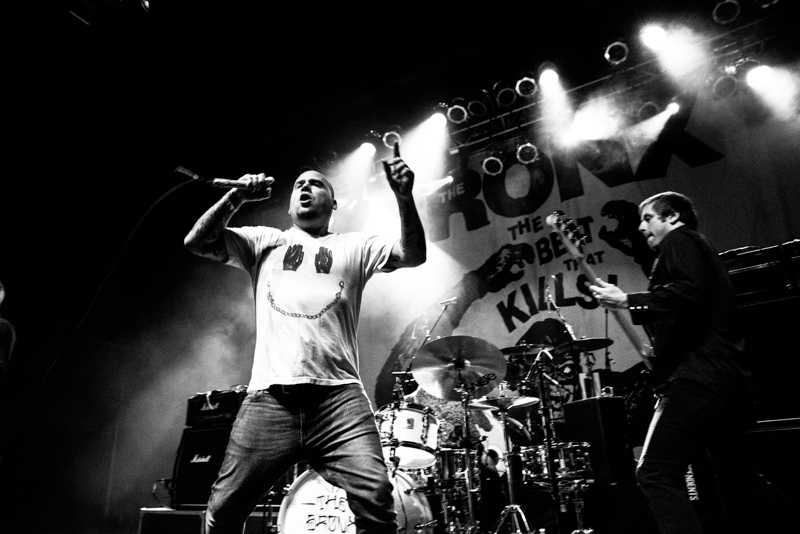 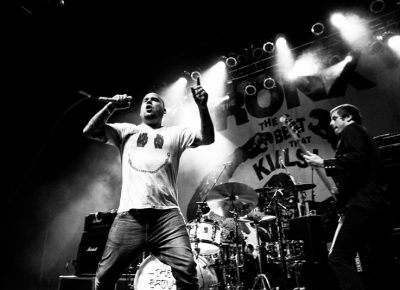 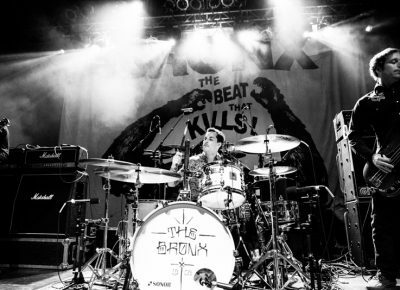 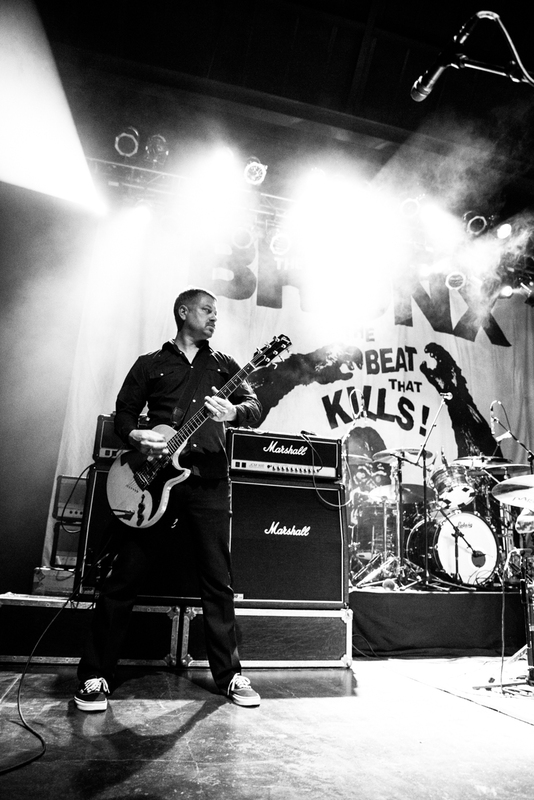 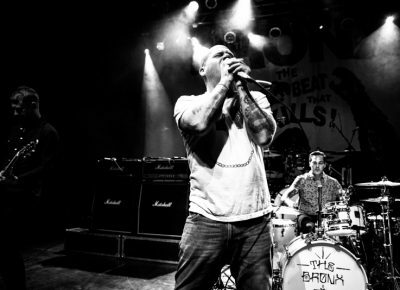 The Bronx followed up with an equally energetic set. 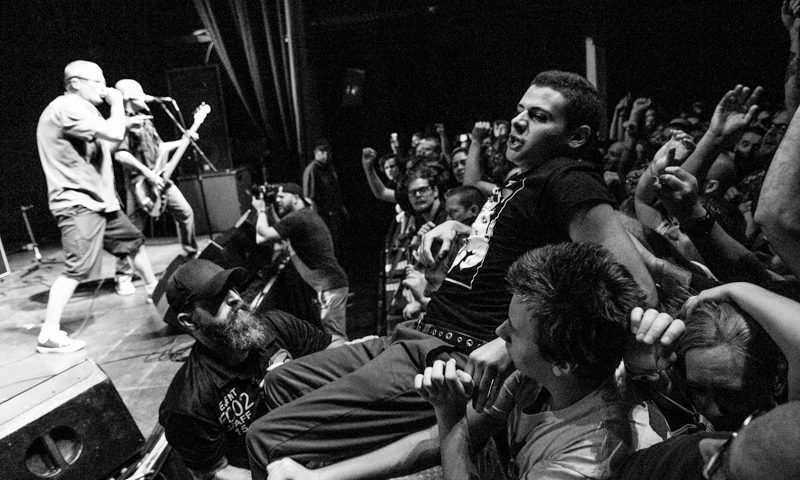 The Bronx’s frontman, Matt Caughthran, had the crowd’s attention. 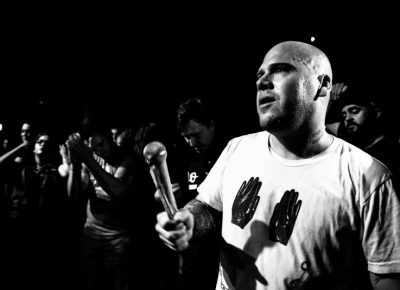 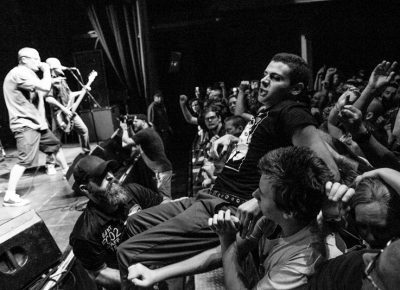 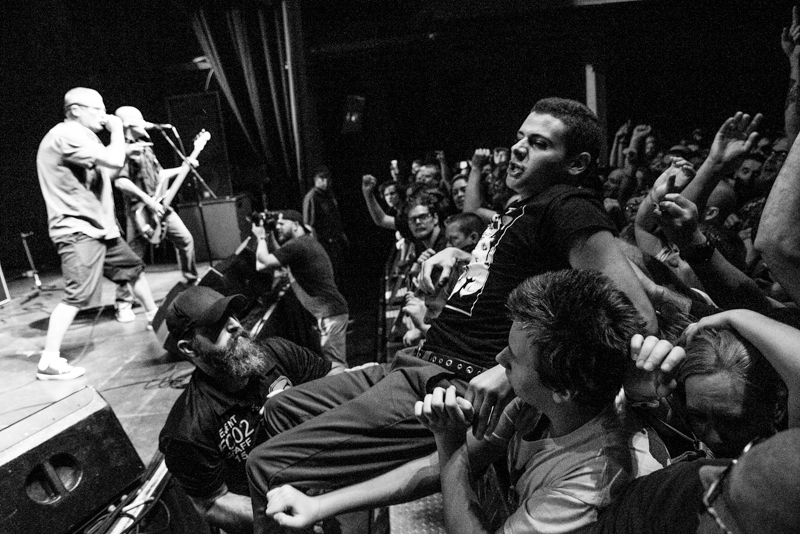 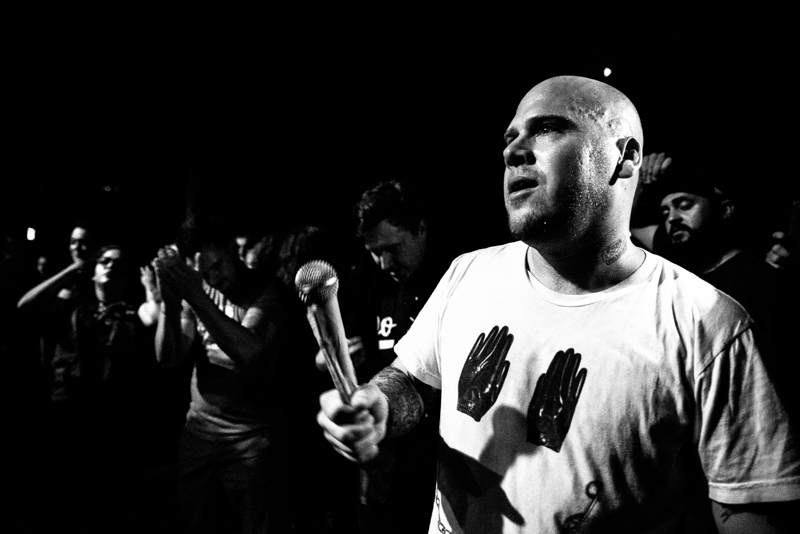 Caughthran jumped into the crowd mid-set and performed the remainder of the The Bronx’s songs from the center of the circle pit. 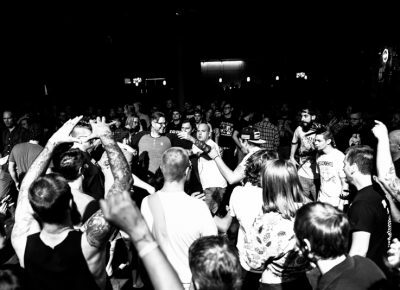 The crowd would often gather around Caughthran and sing along with him. 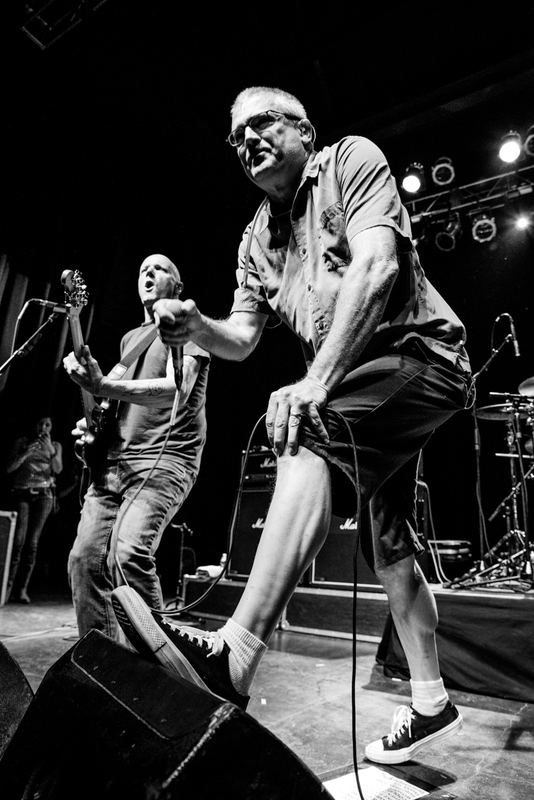 The Descendents ended the night with songs from their entire catalog. 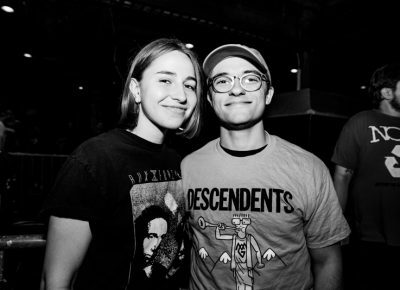 They started off with “Everything Sux,” followed by “Hope,” “Rotting Out” and “On Paper.” The Descendents still have it, and the band played song after song. 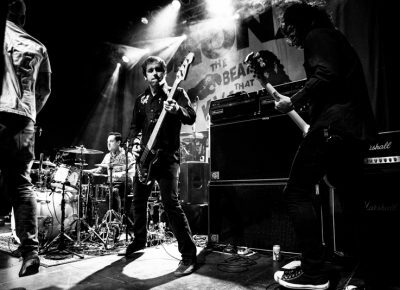 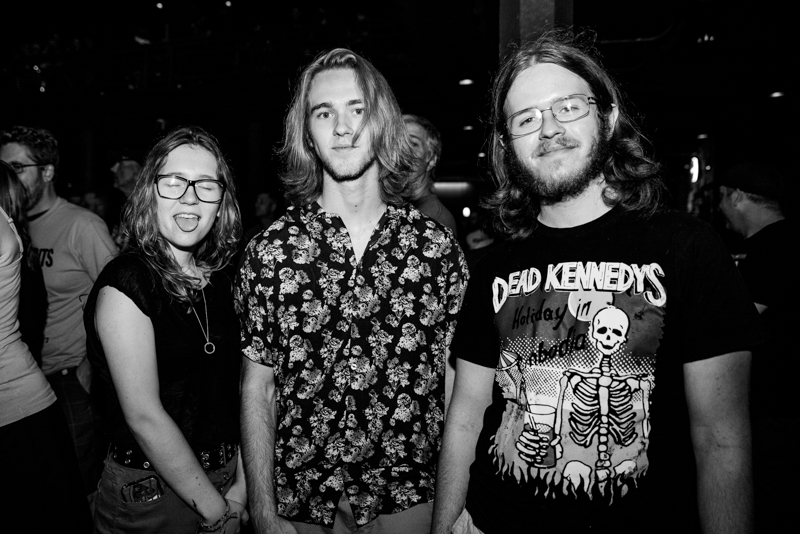 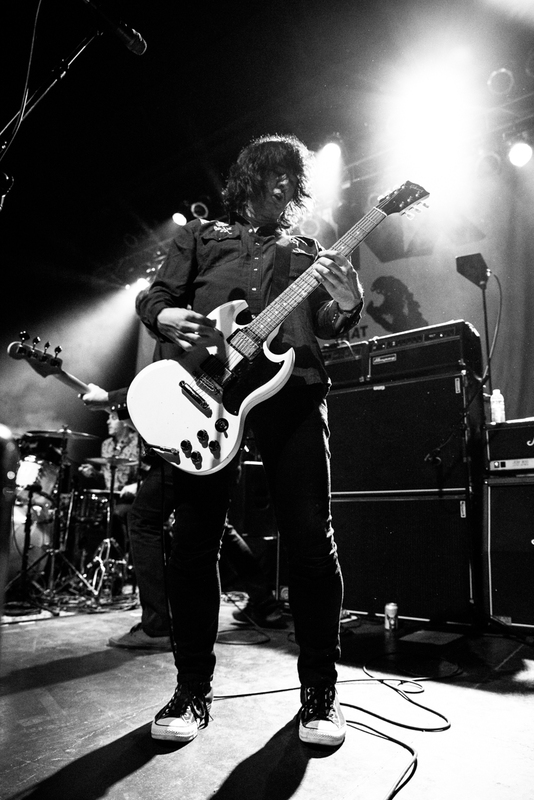 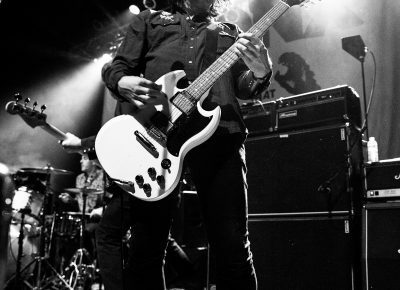 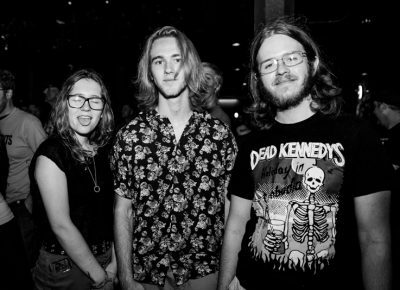 The group has been supporting their latest release, Hypercaffium Spazzinate, and played a couple of songs off their new album as well as all of their hits from their previous releases. 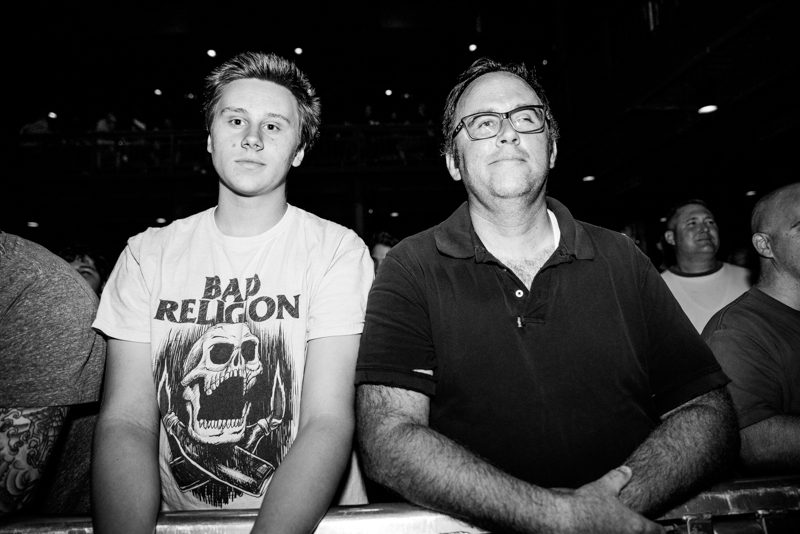 Near the end of their set, the drummer, Bill Stevenson, explained how Salt Lake City was important to the band because both Stephen Egerton and Karl Alvarez were from Salt Lake City. 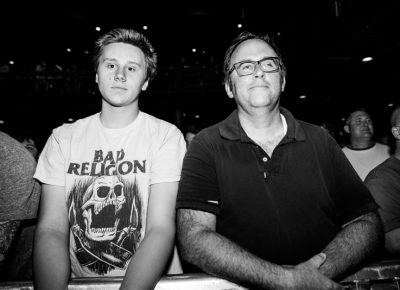 The band played 30-plus songs throughout the night to the crowd, which comprised both younger and older fans. 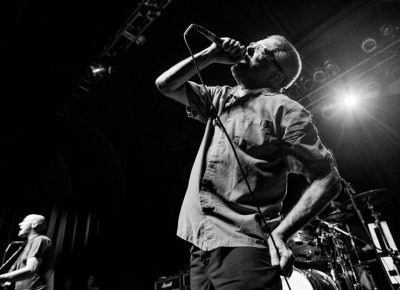 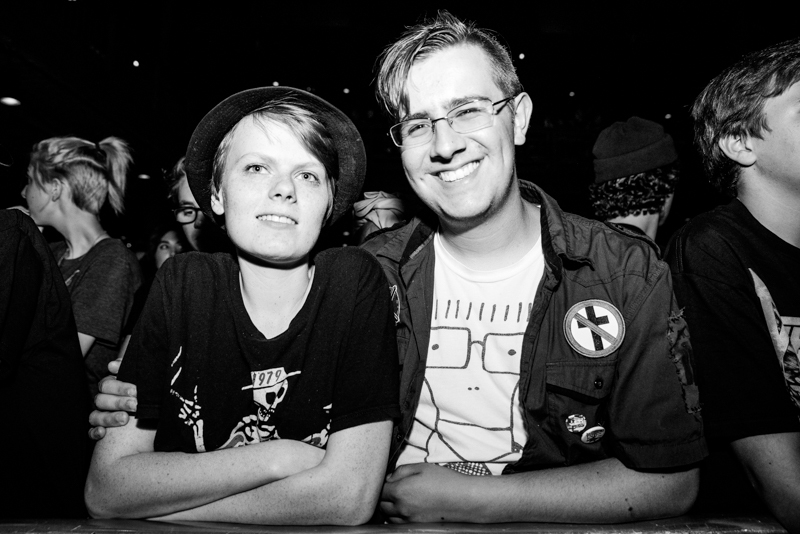 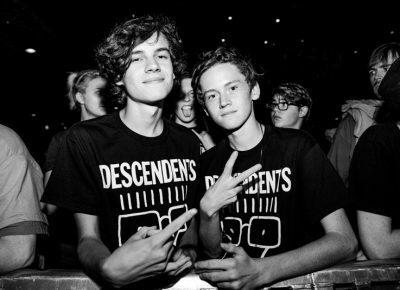 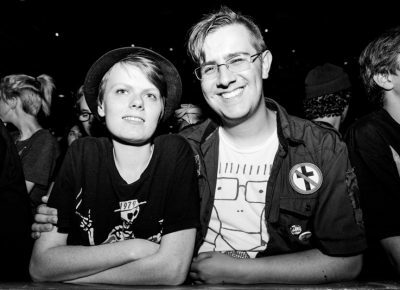 The Descendents were able to bring their influence to Salt Lake City for the evening and even had a limited-run shirt of the Descendents’ Milo Aukerman dressed up as Angel Moroni.